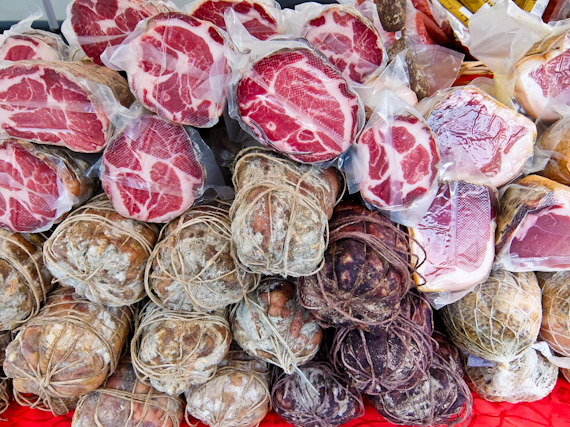 The medieval Salty Way takes you through an unspoiled part of Italy and offers delicious hearty food along the way. 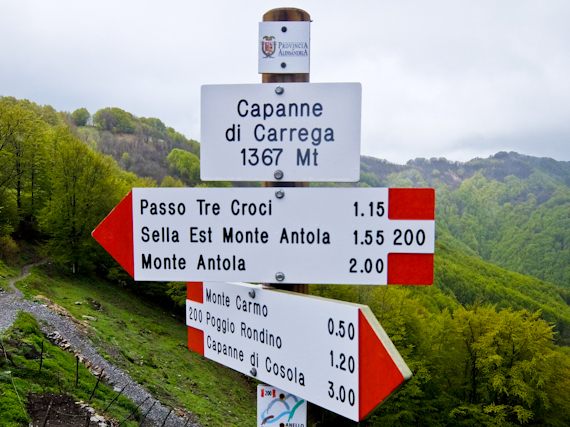 Join Rupert Parker as he tries walking the Salt Route in Liguria..
Once upon a time this road was busy with mule trains, earlier still it was Hannibal and his elephants, but I see nobody on my self-guided hike along the “Via del Sale”. 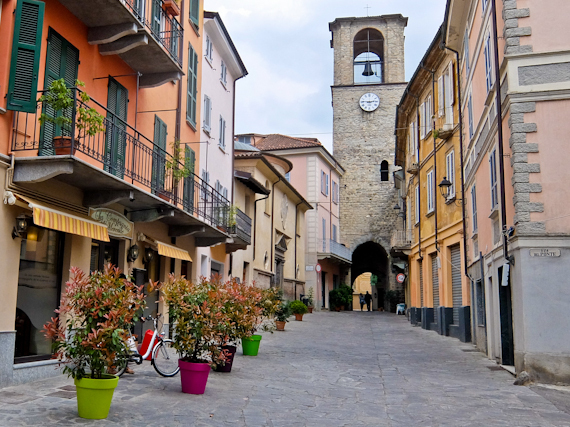 For hundreds of years, from the Middle Ages onwards, sea salt would be carried from the coast, up from the Gulf of Genoa, crossing the Ligurian Apennines, to reach the Po valley in North West Italy. I’m doing the return journey, from the heights down to the coast, so there should be more ups than downs. So I fly into Genoa and then take the train an hour or so North to Voghera. At Villa Isabella, the guesthouse where I stay the first night, they tell me that I’m the first of the season but not to worry as they’ll come and find me if I get lost. 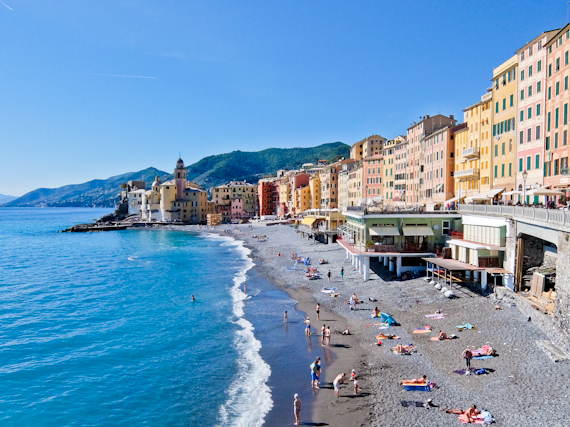 Ahead of me, I’ve got six days to trek 80 miles, before reaching the sea at the small Ligurian fishing village of Camogli. Fortunately my luggage will be transported between hotels, so all I’ve got to carry are my sandwiches. 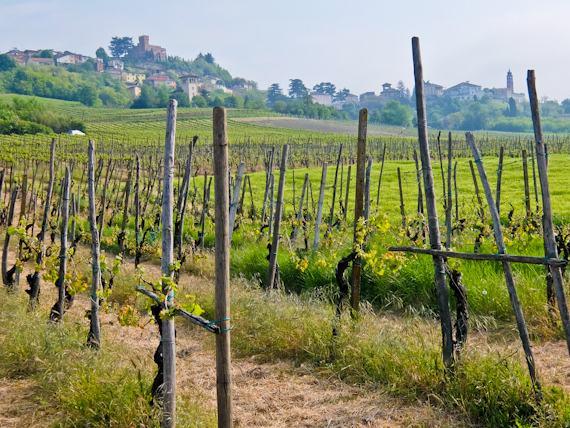 The route begins in the rolling fields of Oltrepò Pavese, the largest wine-growing area in Lombardy, and nicknamed “Little Tuscany” as the landscape is remarkably similar. Every available slope is filled with rows of vines and the hilltops are crowned with villages, often with matching ruined castles. 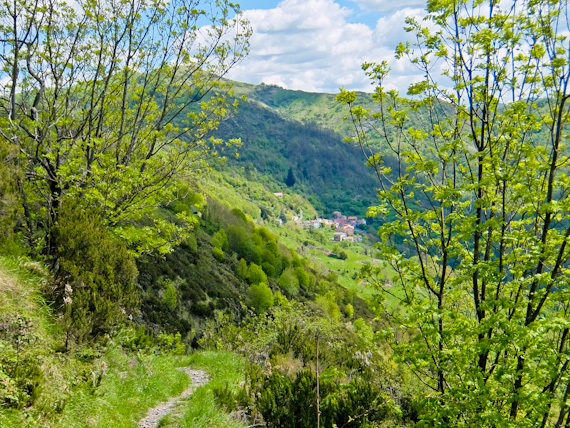 I walk for two days, mainly on deserted country roads, through tiny terracotta hamlets and past small farms before reaching Varzi. This is the first town of any size and was once an important stop on the Salt Road. I reach the Capanne di Cosola mountain lodge safely and I’m relieved to find there’s a gas fire in my room, perfect for drying my wet clothes. Even better they’re ready with a plate of cured meats, then three plates of different pasta, before the main course of roast duck. Meals are pretty good at all the places on the route but this is one of the heartiest. Next day I continue in the mist, slightly disappointed as this is the highest part of the route, at around 1700m and promises majestic views. I don’t get to see much but, as I descend slightly, the sun comes out and I’m suddenly confronted by a handful of wild horses, galloping towards me. They abruptly change track and settle down to graze, always keeping a safe distance. They’re not the only animals I meet, every day I surprise the occasional deer, and there are always dogs barking as I pass farmyards. The weather now seems to be set fair, the cloud has lifted and I can even see the sea in the distance. 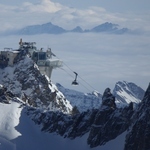 To the North, there are glimpses of the snow covered Alps, and for two more days I continue winding my way downwards. It’s now turned into a delightful walk, shaded by chestnut woods and lined with colourful bursts of alpine spring flowers. Soon I’m towering above a perfect turquoise Mediterranean, and it’s down few flights of steep steps before I reach the end of the Salt Road at Camogli. Charles Dickens described the village as the “saltiest, roughest, most piratical little place” and there’s still a small fishing fleet here. Clustered round the port, the houses rise vertically five or six stories high, dominating the sea front, painted in distinctive pastel shades. As I arrive they’re preparing for the annual Sagra del Pesce, a two day festival with processions, bonfires, fireworks and a big fry-up. They’re erecting scaffolding to hold the massive frying pan, four metres in diameter, holding 3000 litres of olive oil to fry around three tons of fish. Food is the last thing on my mind, however, as every innkeeper on the way provided a dinner large enough to feed Hannibal’s army, to say nothing of the copious packed lunches. 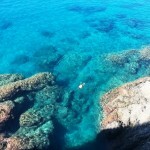 What I’m looking forward to is getting my boots off and plunging my aching feet into the Mediterranean. Salt used to be carried from here, so I’m going to take advantage of its healing properties. On Foot Holidays offers an eight night self-guided trip with accommodation, luggage transfers and most meals, from £895pp from April to October. Flights and airport transfers are extra. Tel. 01722 322 652. 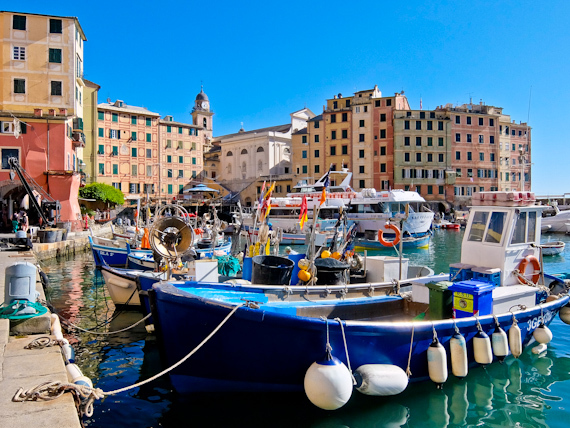 Return flights from London Gatwick to Genoa start from £95 with British Airways. 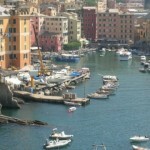 Liguria Tourism has information about the region.